This handsome Mission Hall Table is the perfect option for a small table in the foyer, hall or behind the sofa. 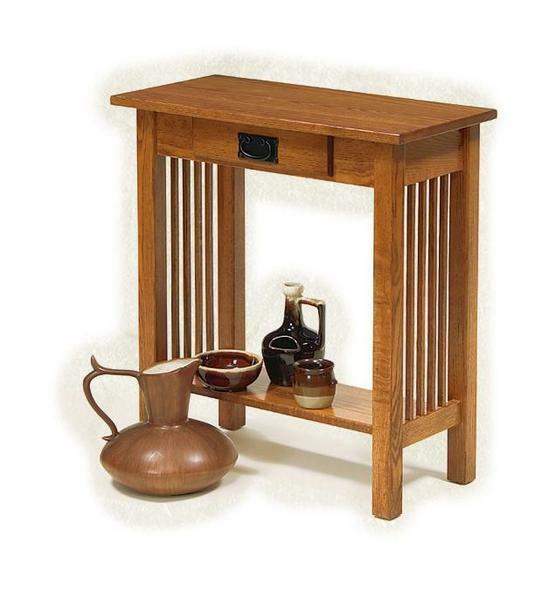 This Mission Hall Table is shown in durable oak wood with a harvest stained finish. You can choose from oak wood, brown maple wood, cherry wood or quarter sawn white oak wood. We also offer a wide variety of finishes. Please call one of our Amish furniture specialists today to receive finish samples for this Mission Hall Table or stop by our brick and mortar furniture store in Sarasota, Florida.